Two of our friends Engr. Iqbal Hameed (Mechanical) and Engr. Muhammad Hamid (Mechanical) who wanted to join us but could not attend due to some family commitments. The party was arranged at Jafri’s home as all the old timers have some reservations eating out that’s the reason Abul Hasan Jafri arranged it at his residence. Except Engr. Tariq Said Bukhari, Engr. 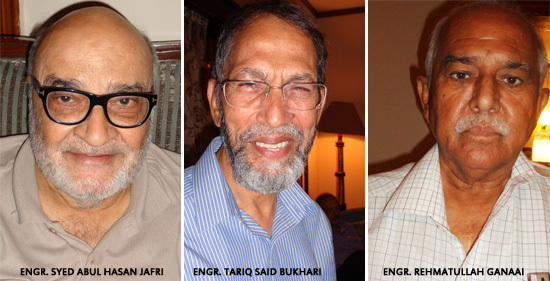 Abul Hasan Jafri and Engr. 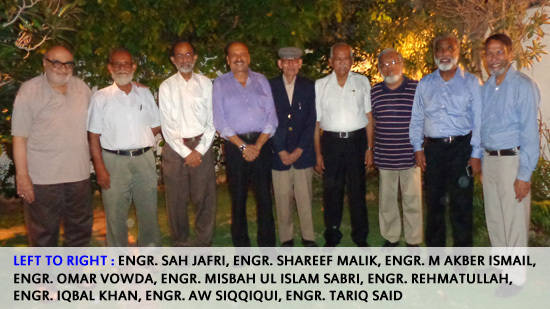 Iqbal Ahmed Khan rest of the remaining friends met Engr. Misbah Ul Islam Sabri after a very long time something about forty five years. This time the topic of discussion was Pakistan Engineering Council Election (PEC) to be held on the June 14, 2015. Also in the same discussion we discussed a lot of NED Students Union Elections as well. I have requested all NED69ers all over the globe to share the old pictures of NED 3rd year Tour and I also shared few pictures in my last report. I am requesting again to send me the old pictures if you have them and share with us to refresh our memories of the 3rd year tour. Whenever we start talking about the 3rd year Engineering of West Pakistan Tour all the attendees just turn forty years younger and the discussion is never ending. The food was all cooked at home and every dish was tasty and very nicely served. We all NED69ers are thankful to Mrs. Jafri from the bottom of our heart for cooking so many dishes and all were very tasty and we all enjoyed the hospitality shown by the family for welcoming all the old friends. The service of the food was great and the gentleman Shahnawaz at the service was very down to earth and did the great job. Last but not the least the dessert was very nice and delicious especially the “Halwa”. Finally we all had good green tea and after that it was time to take leave from our host Engr. 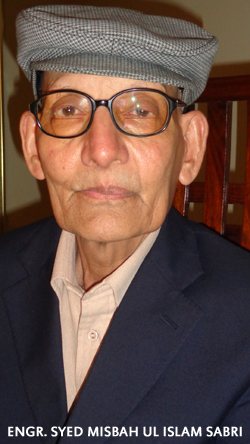 Abul Hasan Jafri. We had a group photograph outside in the lawn and we all wished Engr. Syed Misbah Ul Islam Sabri a enjoyable return journey back home to Saudi Arabia. Misbah is a Senior Electrical Engineer in a Local Firm located in Al-Khobar. His eldest son is also working in Khobar and the two remaining kids are well settled in USA. All three kids are married and enjoying good family life with their kids. We all wish Misbah and his family a very healthy and prosperous life. As the Holy Month of Ramadan is approaching we all wished each other a Happy Ramadan and with high spirits we said good bye to Abul Hasan with a note to meet again fast after the Eid Holidays.